"O human beings! Whatever thing you are most attached to whether it is your body or money give that to Me. By doing so, you will get rid of your attachment, your vanity. You will then get attached to Me." When you will have no money, your vanity will have no base to stand on. Then you will not be worried about anything. When you have donated all that you have in the name of God there will be nothing left to pamper your vanity or egoism? Where is now that money of yours which was in lakhs and crores? You have already donated that. So whenever you donate anything to God or a Saint, always think that They have no selfish motive behind it and you have done that for your own good, for the good of your parloka (next world). The wise always make donations with this objective in mind. Whenever you give a small amount in alms to a beggar this feeling is uppermost in your mind. So behind it, either there is a selfish motive or a wish of having a better next world. But the latter is again an act of selfishness. If you are doing it to purify your heart, that again is a selfish act. 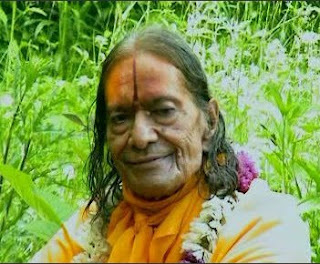 If we do so to seek the grace of the Guru, that too is selfishness. So a selfish person donates money and things with a selfish motive in mind. The selfishness may be positive or negative, good or bad. This difference is always there. But whatever God and the Saints give and do, They do it only for others. Look, God or the Saints have no work to do. Take the case of the Saints. Before God-realization, they as ordinary human beings had been performing actions and have had suffered the fruits of their karmas, both good and bad in infinite lifetimes. But after God realization, they became Saints. Then, they too were freed from worldly tasks. They became complete in themselves. But they do perform all worldly tasks. History is replete with such examples. Prahlad, Dhurv, Ambarish – all of them ruled their subjects for many number of years. Even the greatest Saints did have a family life. They married and sired children. They fought in the battle grounds like Arjun did. They did everything that a mayic person does. As a rule, they are not supposed to do all these things. Because a Saint has got everything that he could wish for. Why should he do any work? The purpose of doing something is to attain bliss, which they have attained already. He has achieved his goals. Then why should he do any work? But, a Saint too works or does karma. God descends on the earth in various avataras and works day and night. Shri Ram came and stayed in this very orld of ours for eleven thousand years. So did Shri Krishna for hundred of years. And the Saints have always stayed here after realizing God and did everything that an ordinary human being has to do. They did to the ‘play-acting’ of all that i disapprovingly called kaam (sensuous gratification), krodha (anger), lobha (avarice), moha (attachment), jealouy and malice. But they could do all this through yogamaya, the personal power of God. Therefore, neither sin nor virtues can influence a saint. The reason being his mind is not attached to that karma. He does everything for the welfare of all living beings. Shri Krishna killed many demons like Aghasur, Bakasur, Putna and others. But what ultimately happened to them? They received the grace of God. All of them went to Golok, the abode of Shri Krishna. It means the Saints cannot but grace all living beings. They may kill us or love us. They may punish us or rotate us in 84 lakh species. Whatever they do to us is nothing but the manifestation of their grace. They do so, so that we become aware and seek the shelter of God and the Saint and avoid doing a crime by nursing a thought against them. In order to save us from committing all such wrongs a prison of eighty four lakh species has been created so that all living beings may become cautious and alert. So God or a Saint can shower grace, though They may seem to perform any kind of action yet, whatever They do is for the welfare of all beings. An odinary human has the evils of love and hatred as he is bound by maya, that cause all the ailments. But God and Saints are free from both. God says that He does not have either an enemy or a dear one. Similarly, the Saints do not have an enemy nor do they have a dear one. They are Grace in Person. So whatever they do is only the manifestation of their grace. We may or may not understand it fully, since we are ignorant. A mother, for example, hugs and kisses her child. She feeds that child from her own breasts even if sometimes she does not have the strength to do so and gets emancipated in the process. This is her love, her grace. Sometimes, she slaps her chils too. That too is her grace. She does it, so that she could teach her child not to pick up wrong habits like lying. Father also punishes the child so that his child should become a person of character and good conduct and be inclined towards God. So, that punishment has his grace hidden in it. If this is the case with a worldly mother or father, then a Saint is all the more so because he has only grace for others. What else can he do? A mother loves her child punishes him too. Apparently they are two contradictory things but the purpose of both is grace.